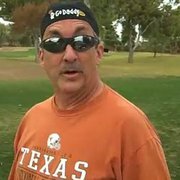 Welcome to the Phoenix Real Estate Guy’s Dobson Ranch web page. If you want to get to the Dobson Ranch active homes for sale jump down the page here. Dobson Ranch is a Master Planned Community in Mesa AZ. 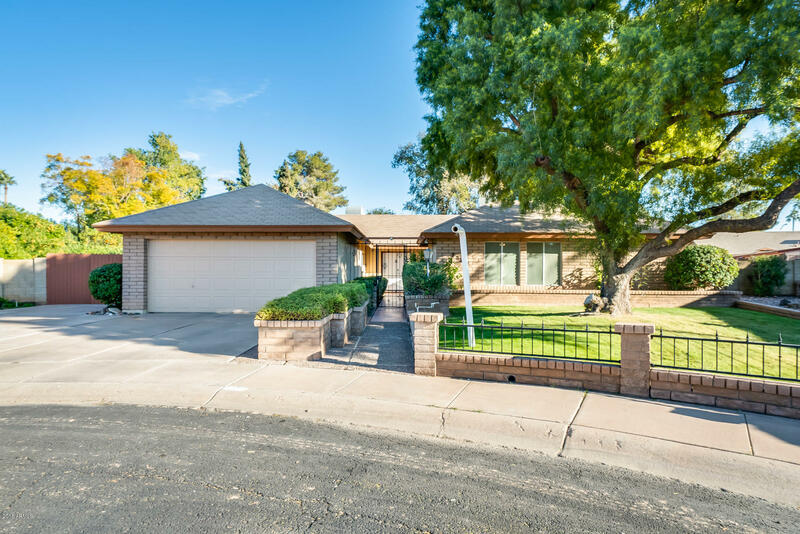 Dobson Ranch is in Mesa’s 85202 zip code and is located just east of Price Road, stretching to Alma School Rd, south of the Superstition Freeway all the way to Guadalupe Rd. This neighborhood offers a very convenient location near the 60 and the 101 freeways. This super-convenient freeway access and the abundance of restaurants, jobs and shopping in this area make for a great place to call home. With approximately 65 acres of common areas, residents enjoy more than a dozen community tennis courts. Mesa has some great communities with community pools, but here you’ll find four swimming pools, seven man-made lakes, three recreation centers and miles of lakeside pathways perfect for morning walks or evenings jogs. Meet your neighbors at any of the well-organized community activities ranging from a summer camp for kids to a weekend BBQ. There’s a nice public golf course at Dobson Ranch, as well. A great lifestyle community, for sure. Did you know that Dobson Ranch was the first master planned community in Mesa, Arizona? Yes, it was. At one time, the area was once home to over 20,000 head of cattle. Today, it is home to more than 15,000 residents. Take a look at this Google map that shows the area. You’ll get a great feel for how convenient it is to live in the awesome Mesa community! Whether you’re looking for a single family home, condominium or townhouse, we think this community could be a great fit. Take a look at all Dobson Ranch has to offer. 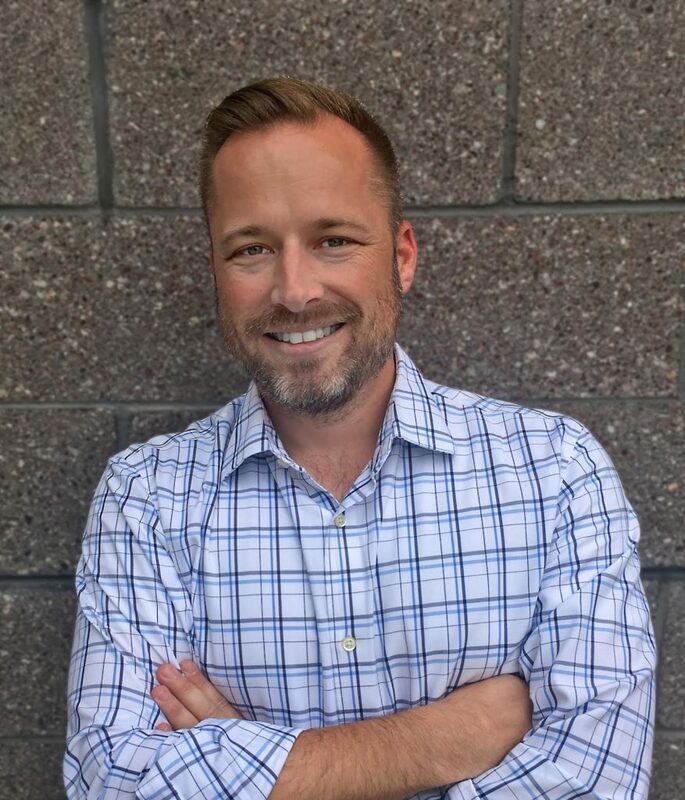 If you have any questions or would like to see any of the homes for sale in this amazing neighborhood, just click on any of the homes below. Contact us anytime; we are happy to help. Also, check out the other Mesa Communities we specialize in. 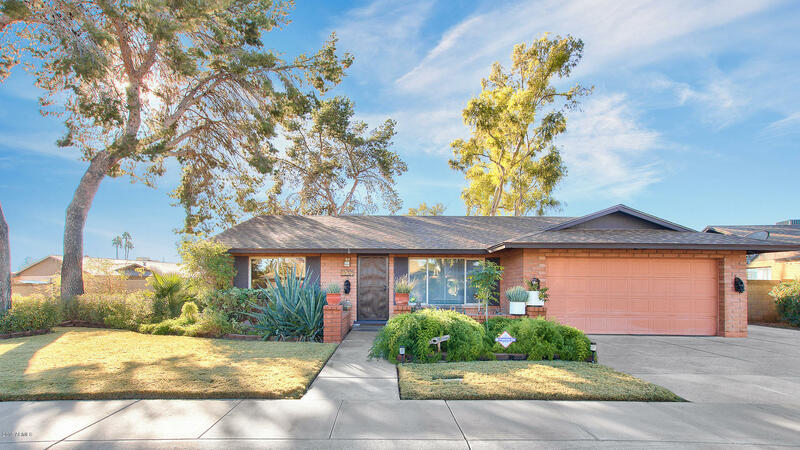 You will not want to miss this updated Dobson Ranch home. 3 bed, 2 and a half bath and 2,044 sq ft which means an open and spacious home for everyone! This backyard is huge and has tons of lush landscaping and a built-in BBQ. It will be easy to get the big toys in and out using the RV gate. This is the one if you love to entertain and have your privacy as well. Do not wait. Schedule your showing today! 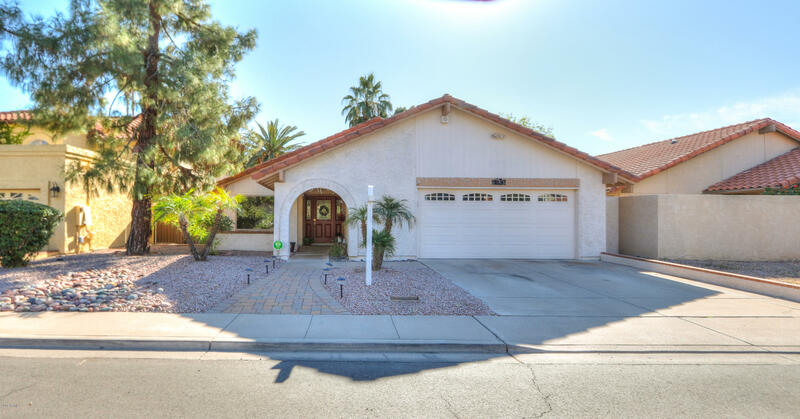 Perfect starter home on a great street in Dobson Ranch! MOVE IN READY! Rest assured with a new AC unit and NEW ROOF! Water heater is only 5-6 years old. It also has new paint inside and out. Kitchen has an eat up breakfast bar and overlooks the backyard. Both bedrooms are bigger-sized with ample closet space (and organizers), plus ceiling fans and window coverings. Home also has brand new carpet in family room, bedrooms and hallway. Nice updated tile in the kitchen, dining room and bathroom. Bathroom has been updated. Backyard is oversized with plenty of room for entertaining. Side yard comes with a shed perfect for storing lawn mowers, bikes, etc. It's ready for your personal touches! This is the lowest priced listing in Dobson ranch and is sure to go quickly! 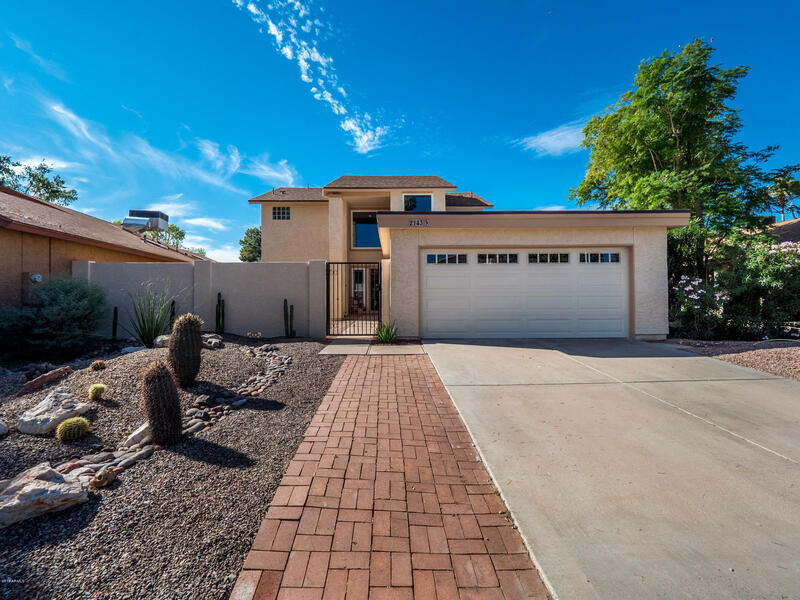 The moment you drive up, the pristine landscaping and premium corner lot will draw you in.....Here is your chance to live the highly sought after master planned community of Dobson Ranch. 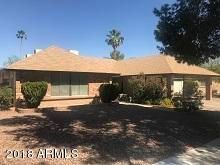 This home offers 3 bedrooms, 2 baths, laminate wood flooring throughout, open kitchen with breakfast bar, park like landscaping with your own garden area, huge laundry room with tons of storage, and an extended 2 car garage with additional parking. Dobson Ranch offers 3 community pools, pre-school, summer camps, lakes, golf course, walking trails, and recreation centers. Minutes from schools, shopping, restaurants, and freeway access. Meticulously maintained and ready for new owners! 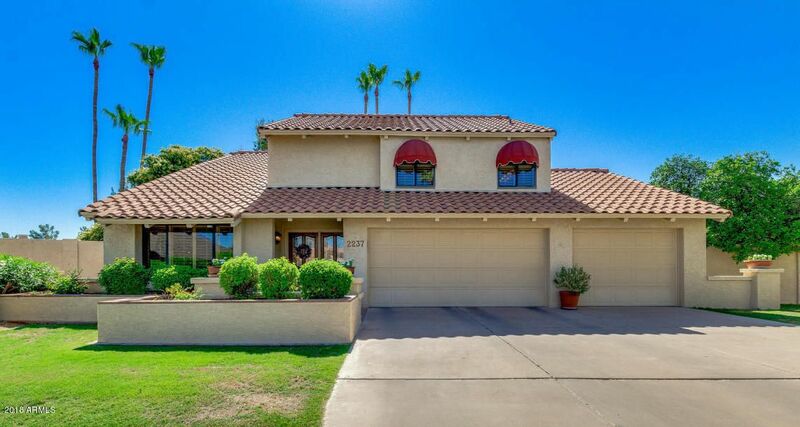 This Mesa one-story home offers an in-ground pool, a fireplace, and a two-car garage. Upgraded features include overall interior paint, and new pool equipment. Community park, pool, gym, tennis court, golf course and sports court along with common area maintenance are part of the HOA. Home comes with a 30-day buyback guarantee. Terms and conditions apply. This is your opportunity to own this very upgraded home in Laguna Shores on an 11,000 + square foot lot. This thoughtfully designed floor plan features 4 beds, 2.5 baths + a den/bonus room. Kitchen boasts SS appliances, white cabinetry, granite counters, breakfast bar & a built-in wine refrigerator. Master suite includes sitting area, balcony exit, double sinks, separate tub & shower & his & her closets. French doors open to the backyard truly an oasis w' covered patio, built-in BBQ, several seating areas, pool/spa. Additional upgrades include: plantation shutters, custom paint, drapes, extended laundry/utility/craft room,fireplace, vaulted ceilings, french doors, new hardware, lighting & awnings. Central location!! Close to freeways, shopping & restaurants. This home is a must see! 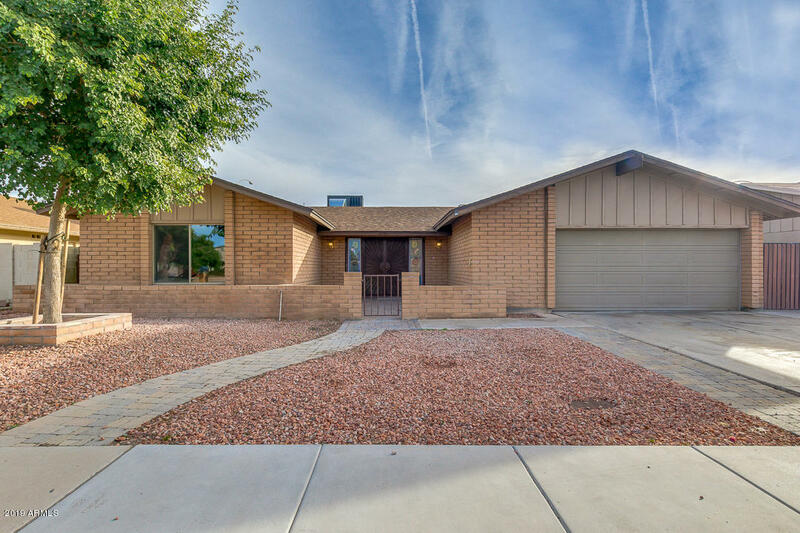 Check out this amazing newly remodeled 3 bedroom, 2 bathroom home in Dobson Ranch. 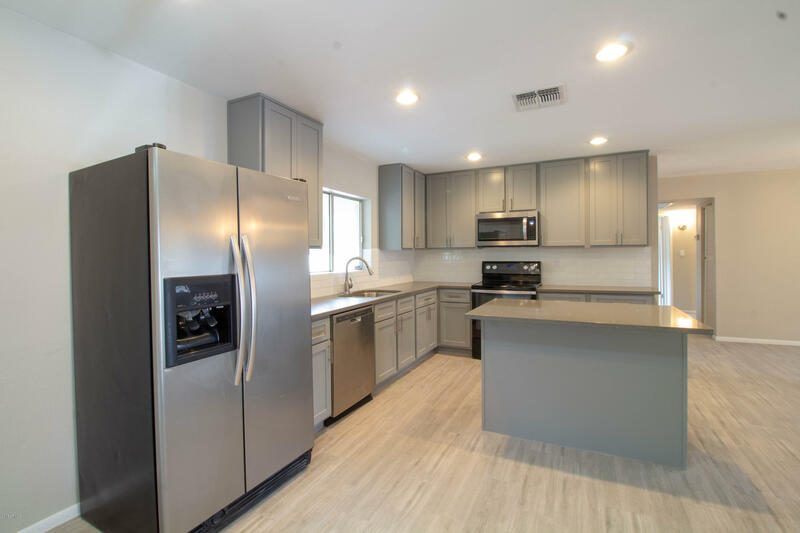 This home features all new kitchen and bathrooms with classy shaker cabinets, quartz counters, new plank wood tile flooring and new carpet in the bedrooms. This home includes new door hardward, new lighting and new plumbing fixtures throughout. This home has an immaculate oversized backyard with pebble tech pool and clean well maintained equipment. The roof and TRANE HVAC system area a few years old and in great condition. The back patio is enclosed and updated for the flexibility to enjoy year round. Located near excellent schools, amazingly quick access to 2 major freeways and very close to major malls and amenities. Within 30 minutes of all major sports teams, major events, ASU and Sky Harbor Airport. 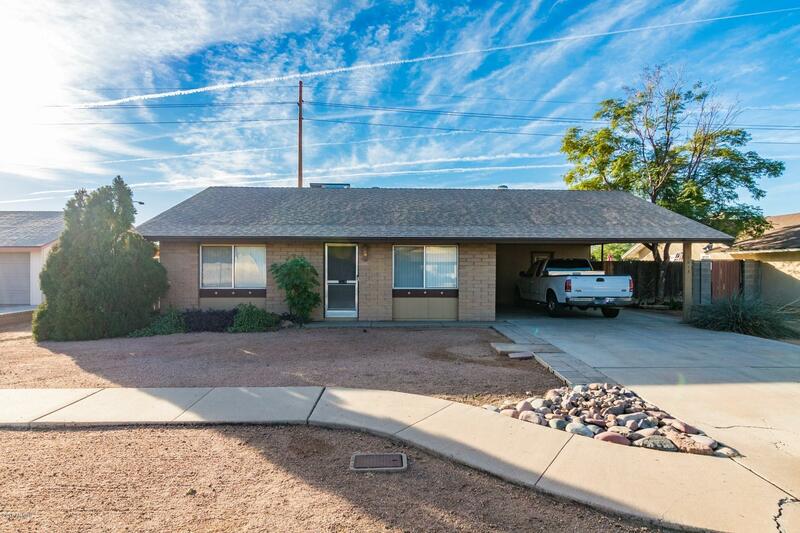 This Dobson Ranch home has a low maintenance front yard and a huge backyard. It also has Formal Living and dining areas and a family room. The arizona room is partially enclosed giving the homeowners extra storage space and rooms for their pets. An out door sink and plenty of side yard is waiting for the avid gardner in you but already the landscaping has mature plantings and nice large lawn. It's located within easy access of the major streets on a Cul-De-Sac lot with low traffic and great neighbors. All Dobson Ranch amenities available including the club houses, pools, Lake, bike paths and more. This is a great family home in a great family community.